The Butchery provides the unique experience of a restaurant within a meat market. Surrounding the eating area are the same counters that The Butchery built it's name serving meat from. The Butchery's meat needs no introduction, and now you can enjoy it prepared on location by an expert staff of chefs. With a fully functional meat market you can come in and hand pick something to prepare at home later. 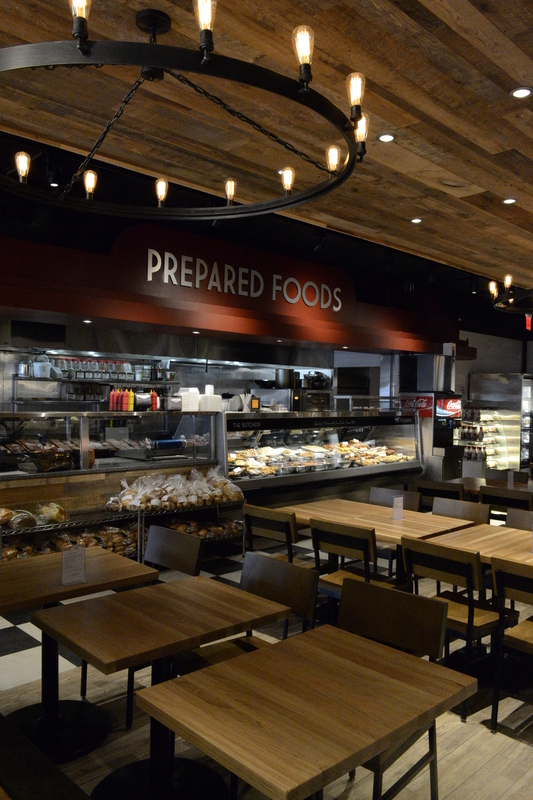 With a prepared foods counter you can come in and quickly grab a meal to bring home. With a fully functional Vera's Burger Express and The Butchery Dinner menu, you can come in and enjoy a meal cooked just for you. The Butchery has always been known for serving meat. Now you can enjoy it here too. Located on-site is a Vera's Burger Express, meaning you can come in and get the signature Vera's Burger experience. The Vera's Burger Express is available from lunch through dinner offering a variety of options from the famous beef patty to chicken fillets. Fries and a milkshake are also available at the Vera's Burger Express! Alternatively, if you are looking to experience The Butchery's well-regarded meats cooked to perfection, you can order off The Butchery's Dinner menu! Your choice of strip loin, rib steak, chicken or smoked meat is available between Wednesday and Saturday from 5:30pm to 9:00pm.